Fibromyalgia is a complex chronic pain syndrome that can have debilitating consequences for affected patients. When compared to the general population, patients with fibromyalgia experience lowered mechanical and thermal pain thresholds, altered temporal summation of painful stimuli, and higher than normal pain ratings for known noxious stimuli. There is no definitive cure for fibromyalgia and treatment primarily focuses on both symptom management and improving patient quality of life. This treatment strategy involves a comprehensive multidisciplinary approach consisting of lifestyle modifications, pharmacologic measures, and other complementary approaches including but not limited to acupuncture, yoga, tai chi, and meditation. This manuscript will discuss the diagnosis and treatment of fibromyalgia, as well as complementary and alternative therapies that should be considered by healthcare providers. Aman MM, Jason Yong R, Kaye AD, Urman RD. Evidence-based non-pharmacological therapies for fibromyalgia. 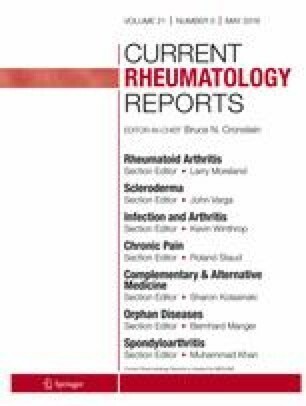 Curr Pain Headache Rep. 2018;22:33. https://doi.org/10.1007/s11916-018-0688-2. Busch AJ, Webber SC, Richards RS, Bidonde J, Schachter CL, Schafer LA, et al. Resistance exercise training for fibromyalgia. Cochrane Database Syst Rev. 2013:CD010884. https://doi.org/10.1002/14651858.CD010884. Bidonde J, Busch AJ, Webber SC, Schachter CL, Danyliw A, Overend TJ, et al. Aquatic exercise training for fibromyalgia. Cochrane Database Syst Rev. 2014:CD011336. https://doi.org/10.1002/14651858.CD011336. Fibromyalgia: complementary and alternative treatments. Inst Qual Effic heal care (IQWiG); 2006- 2018. https://www.ncbi.nlm.nih.gov/books/NBK492996/. Deare JC, Zheng Z, Xue CC, Liu JP, Shang J, Scott SW, et al. Acupuncture for treating fibromyalgia. Cochrane Database Syst Rev. 2013:CD007070. https://doi.org/10.1002/14651858.CD007070.pub2.